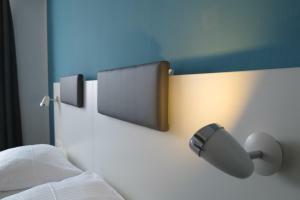 This quietly located, 3-star hotel is just a 5-minute walk from Munich Central Station and the University Hospital. 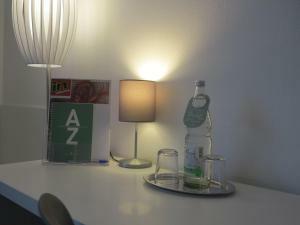 Its modern rooms were renovated in 2011, and feature free Wi-Fi. Most of the rooms at the privately run Brunnenhof City Centre Hotel face the inner courtyard with fountain. Every room includes an orthopaedic mattress, satellite TV, and a work desk. A daily breakfast is provided at Brunnenhof, featuring smoked salmon and jams. On request, breakfast can be prepared from 03:00. The Brunnenhof’s small lobby bar serves hot and cold drinks. The Brunnenhof City Centre is a 10-minute walk from the Stachus square and Theresienwiese Oktoberfest site. There is a limited amount of parking spaces available in the courtyard (reservation necessary) and also in a nearby parking garage for a discounted fee. Please note that it is not allowed to leave pets alone in the rooms. Please note that on-site parking for 6 parking spaces is available for € 15 per day. There are also parking spaces near the property available for € 12 per day.